Welcome! As a gift-supported institution, Fenn is able to provide an outstanding education for boys thanks to the extraordinary generosity of its extended family. Tuition alone cannot cover the cost of educating each student. Therefore, Fenn thrives because of the support from parents, alumni, grandparents, friends, faculty, and parents of alumni. 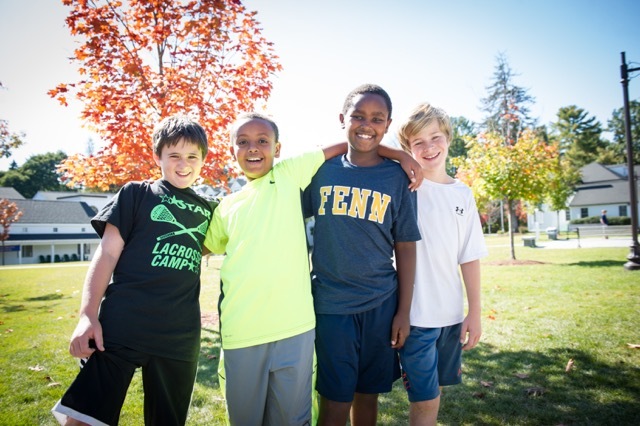 In the summer of 2018, Fenn successfully completed the In Our Hands campaign raising over $20.3 million for capital and endowment initiatives that provided the facilities and resources needed by Fenn students and teachers to sustain the community of learning. Campaigns of this magnitude occur when significant needs are identified by the Board of Trustees. The Annual Fund is the cornerstone of Fenn’s yearly fundraising efforts. The School relies on the Annual Fund to help meet current operating expenses. The Annual Fund goal for the 2018-19 school year is $1,300,000. Please contact the Advancement Office if you are interested in volunteering your time or if you have any questions about the different ways in which you can support Fenn.